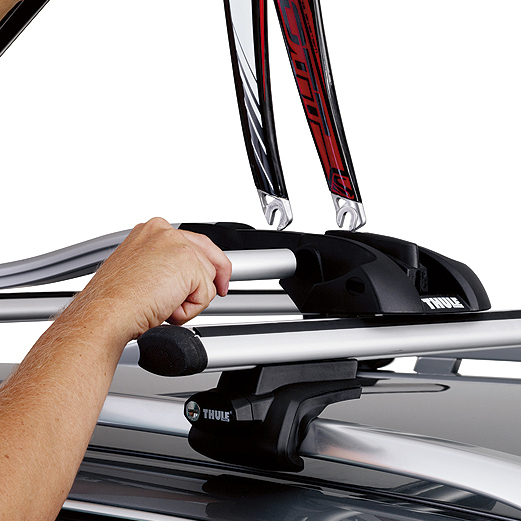 The Thule OutRide 561020 Fork Mounted Car Roof Bike Rack Bicycle Carrier has a sleek, ergonomic appearance. Its aluminium tray design is light, sturdy and creates minimal drag. The OutRide is pre-assembled in the factory. 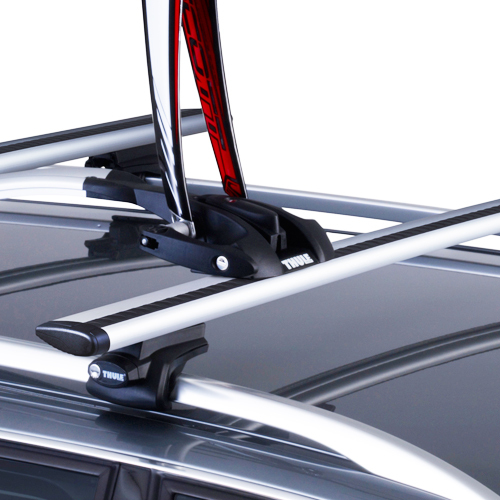 It easily attaches to all Thule crossbars, most t-track crossbars, Inno square bars, Yakima round bars and Malone crossbars. 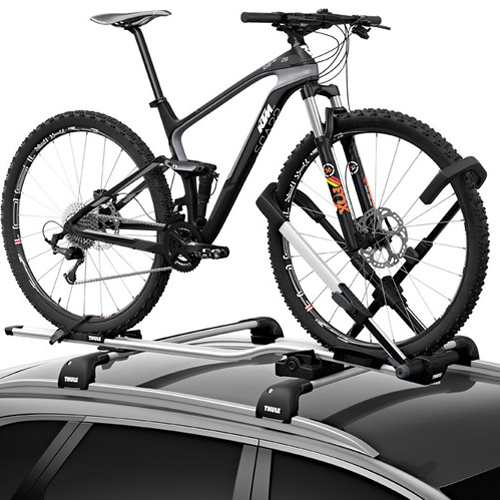 The OutRide includes two mounting hardware options: Around-the-bar hardware which fits up to 60mm width crossbars, and t-track hardware which fits into the 20 x 20mm T-Slots on Thule AeroBlades, Xsporter and TracRac XT Crossbars for a nice, seamless fit. 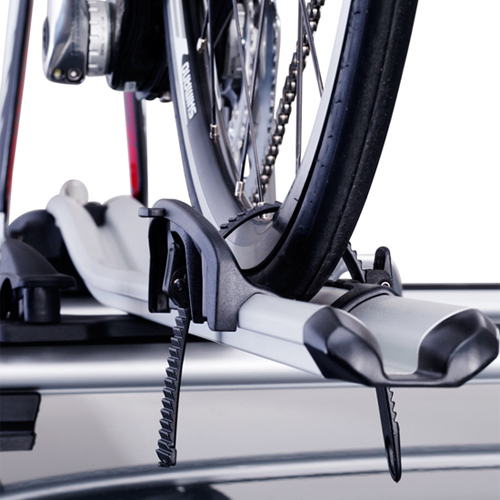 The OutRide universal quick-attachment will fit up to a 60mm width crossbar. 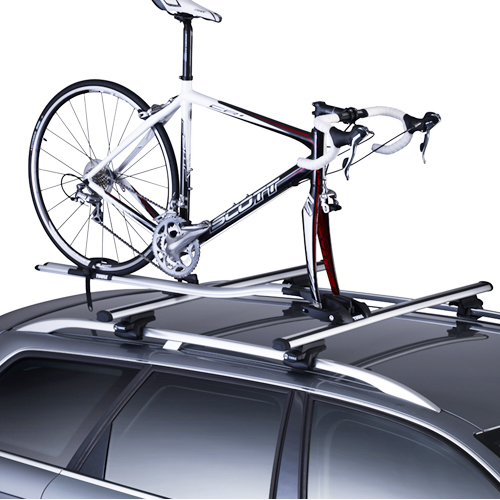 The OutRide's lockable features lock the bike to the rack and the rack to your crossbars. 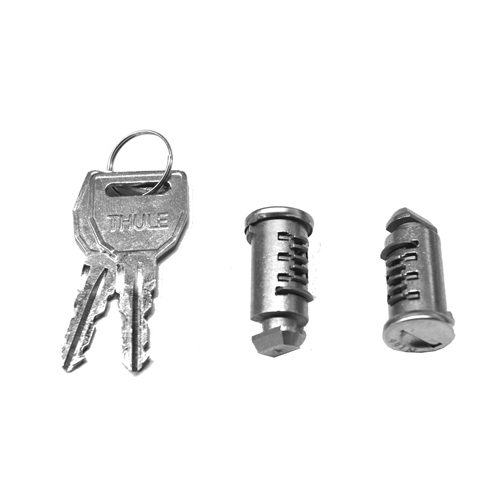 Two Thule lock cores are required (sold separately - see below). 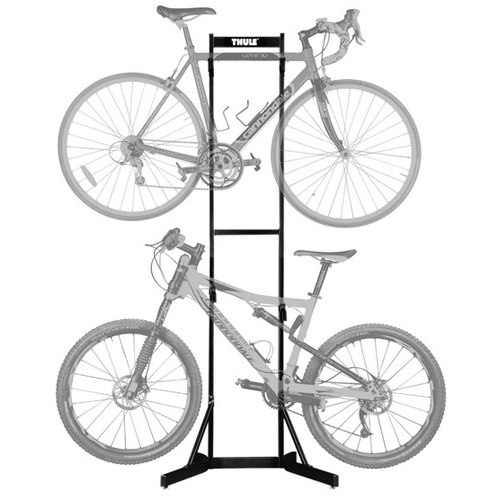 The OutRide bike rack is compatible with 9mm QR axles, disk brakes and 20mm thru-axles. 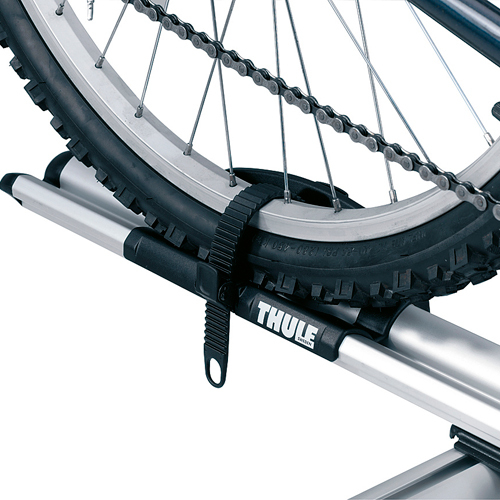 The rear tire strap securely attaches the rear wheel using a quick release strap for quick loading and unloading. 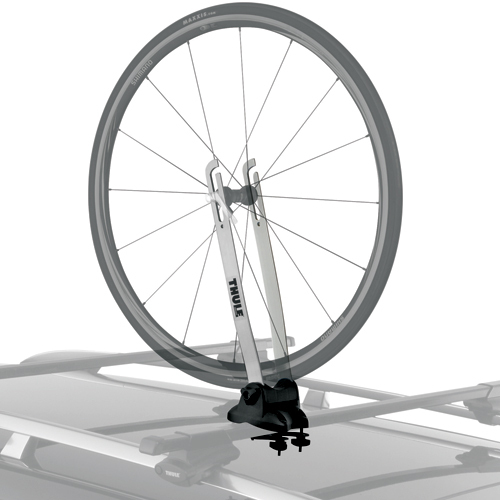 The rear wheel strap fits wheel sizes up to 3". 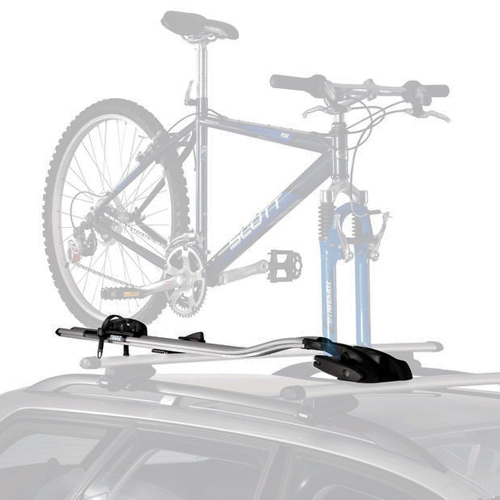 The OutRide can carry a bike up to 37 lbs.